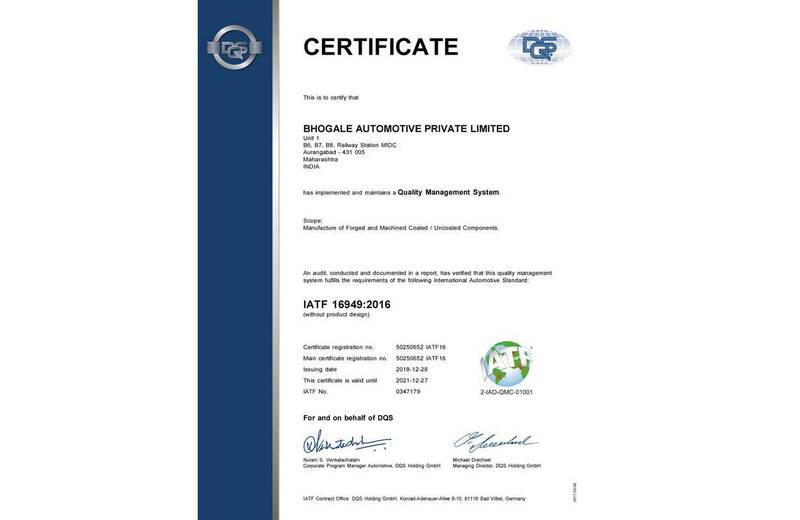 Bhogale Automotive manufactures high precision auto parts used for critical functions of the automobile. The journey of Bhogale Automotive began when Mr. Nityanand Bhogale, Director of Nirlep, a non stick cook ware brand was approached by a Japanese carburetor manufacturer Keihin in year 2003 to provide a solution of applying uniform and precision non stick coat to the carburetor pistons. Since then, Nirlep Engineering, now Bhogale Automotive is providing precision coating to auto parts to various OEMs in large quantities. This gave Bhogale automotive an entry into automobile parts business. We now manufacture aluminum precision parts with anodizing and coating under one roof. Mr. Deepak Ghaisas is a qualified Chartered Accountant, Cost Accountant and Company Secretary. He has played a vital role in building strong IT business which fetched immense value to its clients and shareholders. With this extensive experience of 30 plus years in business, Deepak heads Gencoval as The Chairman and a chief mentor for strategy development, visioning and conceptualizing breakthrough business models. Deepak and Gencoval team facilitating entrepreneurs having innovative ideas in health care sector to pave their road in a structured manner. Gaurav is a graduate of Production Engineering and he is a Master of Business administration from Singapore. After completion of education, Gaurav joined Bhogale Automotive as a shopfloor manager and has been involved in managing the shopfloor activities. With the experience of 6 years in managing operations, Gaurav now works as a CEO of the company. His commitment to the work has helped him improve over all efficiencies of the company. We have mastered the process of understanding the component’s dimensional parameters and quality requirements. Our ability to define manufacturing processes and establishing quality parameters around it is very robust and that has helped us develop components for our customers in shortest possible lead time. 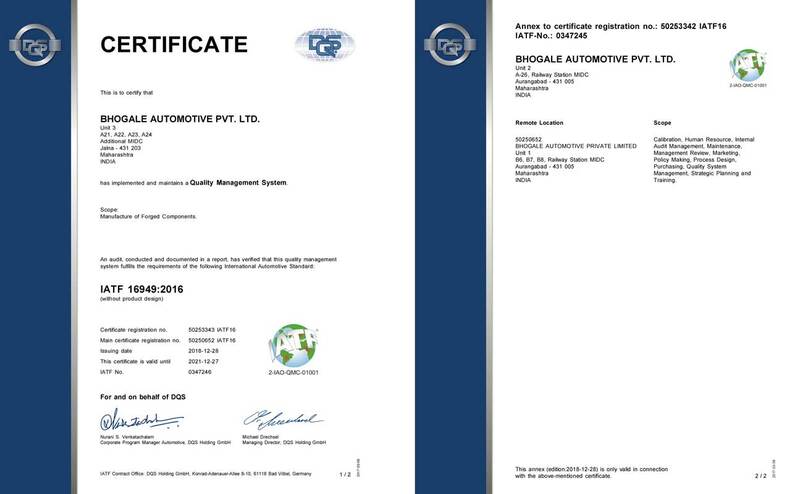 Bhogale Automotive is made of a team that is highly committed to the customer’s requirement. Our team members have gone overboard to ensure uninterrupted supply of components. Our ability to go in depth of issues and desire to create solutions gives us abundant information and knowledge which always helps us in improving the company at various levels. 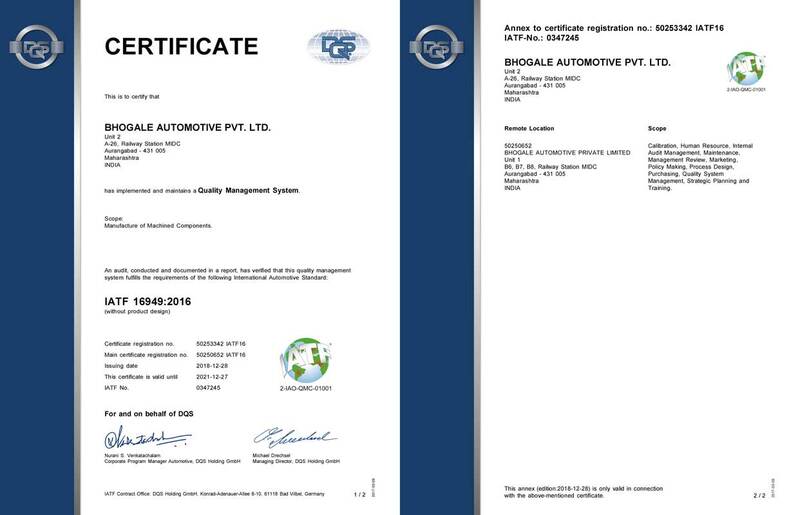 Every individual working in Bhogale Automotive understands the importance of good, clean and healthy environment. All of us here feel that a healthy and cordial relationship is the best tool to over come general problems of the organization. It has always been our priority to respect individuals and nurture relations.